In the absence of specific funding detail, the Isle of Wight Bus and Rail Users’ Group share their cautious welcome over franchise news for Island Line trains. 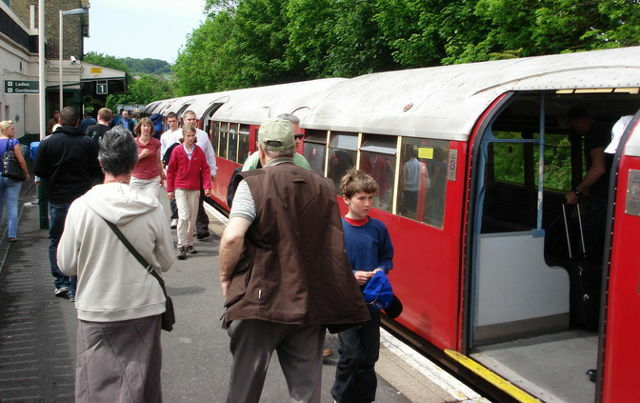 IWBRUG, which is the sole independent organisation acting on behalf of the interests of bus and rail passengers on the Isle of Wight, is giving a cautious welcome to news of the award of the South Western rail franchise to First Group in partnership with MTR. “We are pleased to note the investment of £1.2 billion in rolling stock, infrastructure and information technology that First/MTR will be applying across their South Western Railway network over the franchise term. IWBRUG is however far more cautious at this stage regarding the long term future for Island Line. “Whilst Island Line is contained within the new South Western Railway franchise, there is a conspicuous absence of any specific funding identified for the long overdue rolling stock and infrastructure improvements required for the line. “In the absence of specific funding, the future of Island Line would depend on talks between First/MTR and the Isle of Wight Council and local bodies leading to a business plan which might provide a more sustainable future for the Line. IWBRUG will seek to meet with First/MTR and the Council at the earliest opportunity so that the voice of passengers can be clearly heard. 1 Comment on "Island Line: Passenger group share cautious welcome over franchise news"